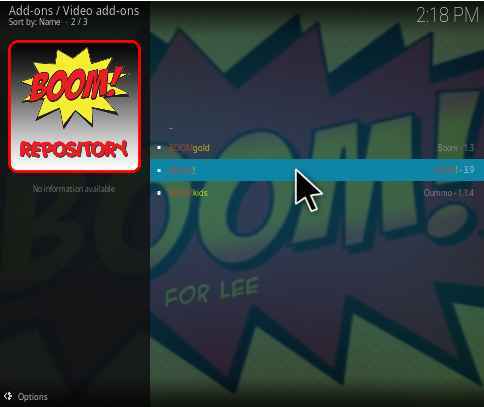 Boom Kodi addon was a big surprise to Kodi community. 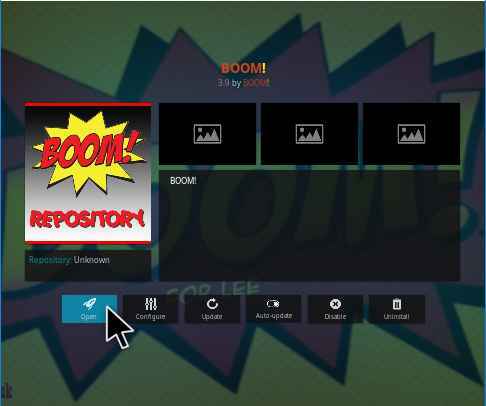 After the shutdown of some famous Kodi addon, the boom was released. 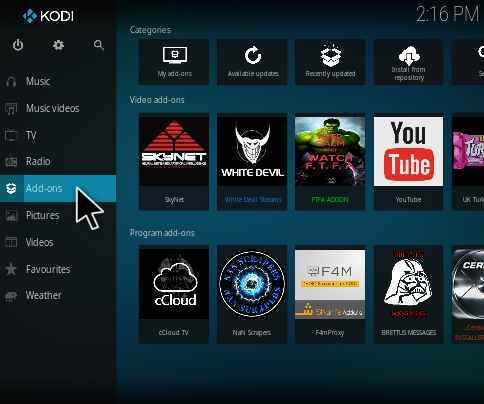 So Kodi users are surprised and impressed by boom Kodi addon. 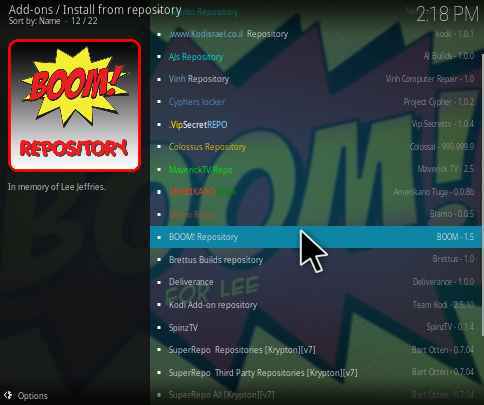 And its available in the Boom Repository. Since they have their own server, you can expect maximum uptime. 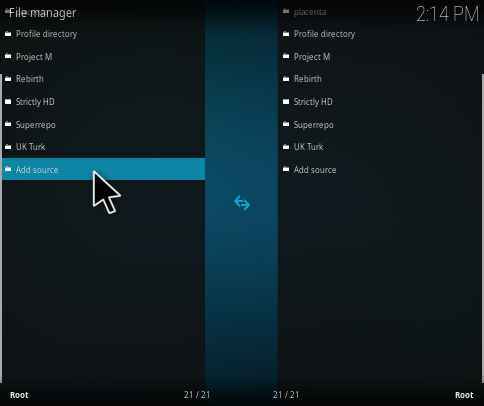 By using this addon, you can stream Live football match, Boxing, and other sports. If you wish to install boom Kodi addon, follow the steps given below. Your IP Address: 46.246.123.36 is visible to the public. You are taking risk! 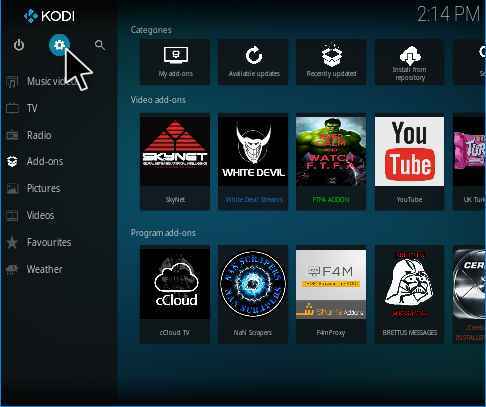 As a kodi user, we used to watch tv shows, movies, live streaming videos, PPV and much more. Watching these from your own IP address is totally risky. 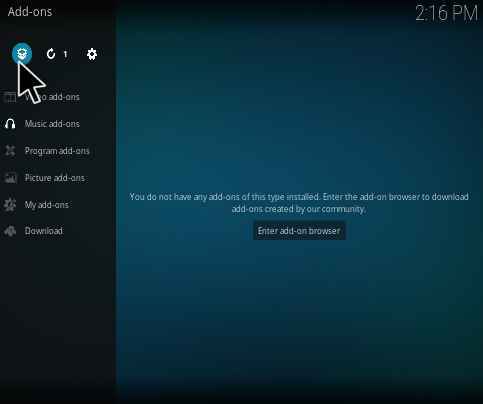 Also, few kodi add-ons are geo-restricted and can't be accessed by all the users. 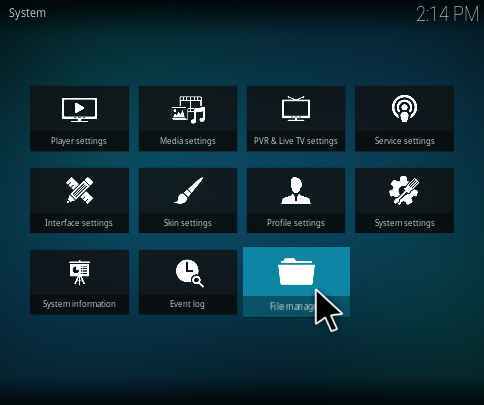 In order to get rid of such issues, a Kodi VPN is always recommended. Using a VPN will unlock geo-blocked content, keep you anonymous online and watch without buffering! After testing out various VPN services for kodi, we found IPVanish to be the best amongst all. Click here to get an instant 57% special discount on IPVanish for kodiforu users. 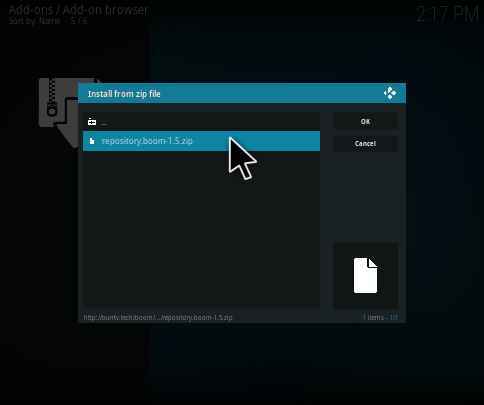 How to install Boom kodi addon? 5. 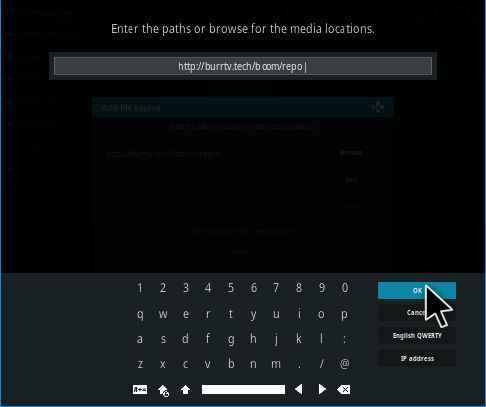 Here you can enter the repository path as “http://burrtv.tech/boom/repo”. Make sure that the entered URL is correct and then clcik Ok.
6.In the next text box, enter the name of media source as you want. Now I will enter the name as boom and click OK.
9. 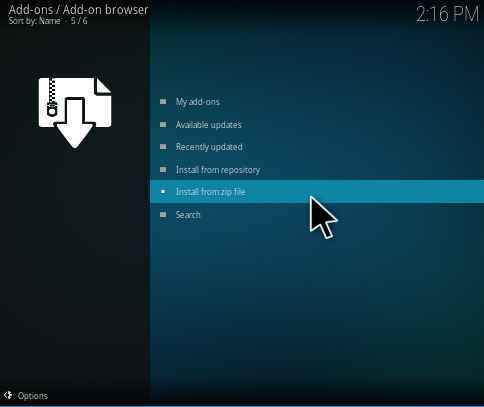 Now you can select the Install from zip file to browse repository. 10. Now you can search and select the boom. 11. Select the repository zip file “repository.boom-1.5.zip” and wait for few seconds while the repository gets installed. 12. After some time, A popup appear statimg Boom repositiry is installed. 14. From the list of the available repository, select Boom Repository. 15. 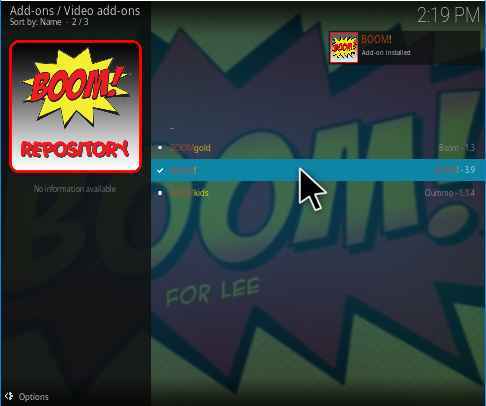 Now select the Video add-ons from the Boom! Repository. 16. 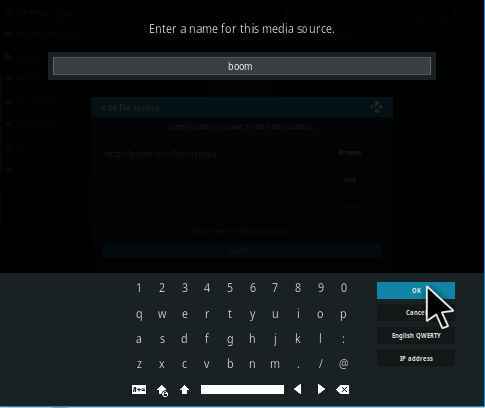 Here you can select the Boom kodi addon. 17. Now the installation window displayed on the screen. Select Install. 18. Here you need to select the version. Generally, go for higher version. 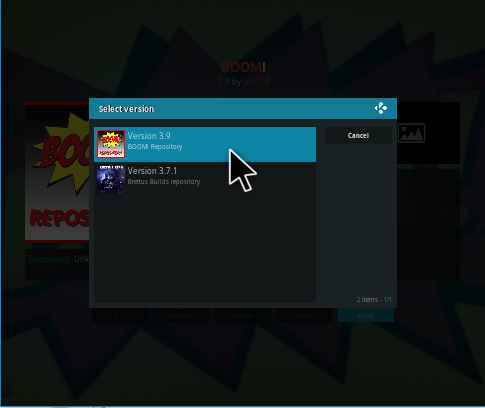 Now I can select the version as “Version 3.9(Boom Repository)” and wait for few seconds while the addon is being installed. 19. Now the popup clearly indicates that the Boom Kodi addon is installed successfully. It is one of the best sports Kodi addons. It has a lot of sections including Football, AceStream sports, Sports channels, Other channels and much more. Now below we can see it one by one. From this section, you can watch live streams of football. It cant stream past matches. You can also check the scheduled matches. It is one of the best section present in this addon. Because here you can stream most of the sports channels. And all the channels are categorized in an alphabetical order. You can find channels like ESPN, Fox Sports, and much more channels. 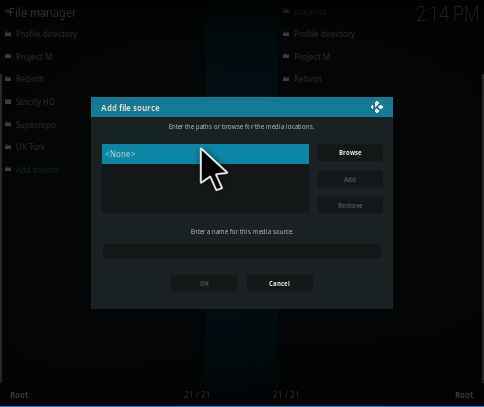 This addon can stream lots of other channels other than the sports channels. This section is for non-sports channels. Here you can find channels like HBO, ITV, Nickelodeon etc. It also contains the UK Regional channels like BBC One(Cambridge), BBC Two(Wales) and much more. 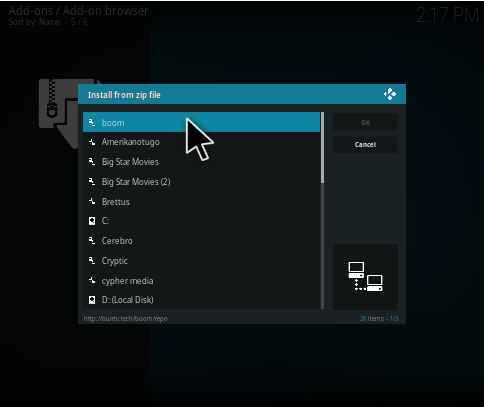 That’s all about boom Kodi addon. 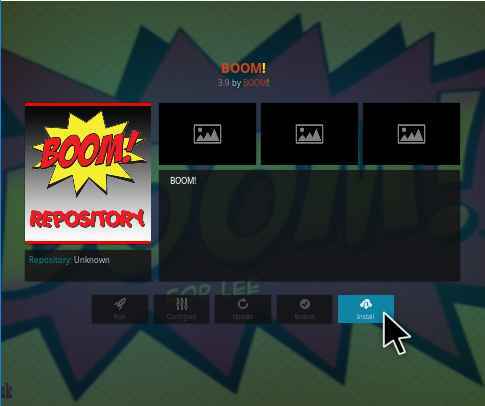 Its available in Boom repository. It has lots of cool features. If you are a sports lover then you must try this addon. If you are facing any issue while using this addon. Kindly do let us know via comments. Also error 404 here, it seems to be down at the moment, hopefully there will be a fix soon.